Days Gone By & Our Furry Friends ~ Release! 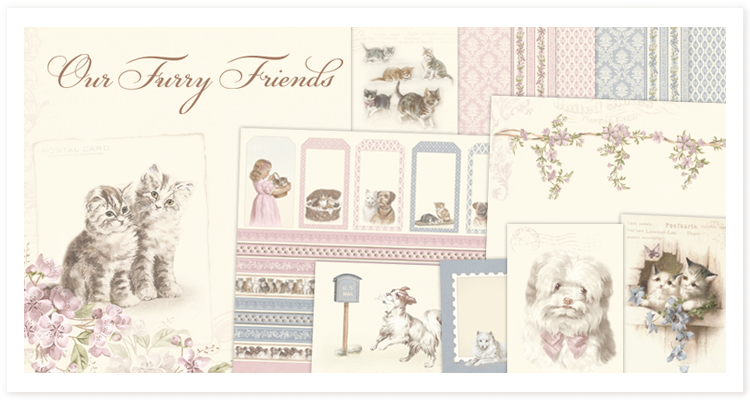 Pion Design proudly presents two new paper collections: the gracefully patterned Days Gone By and the playful and charming Our Furry Friends. 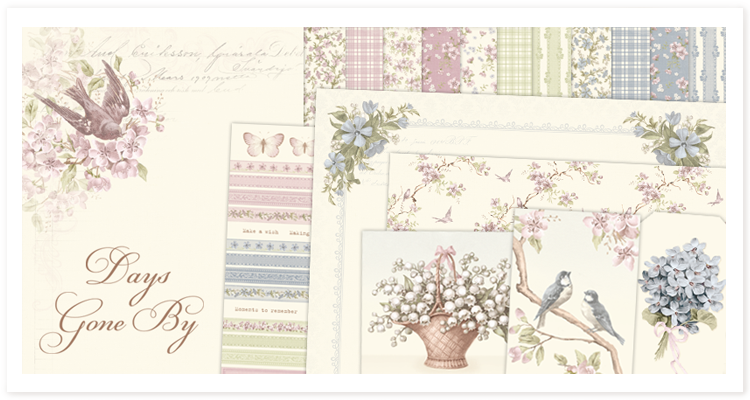 These two collections are designed to complement and match each other, and is a must for every crafter! Our Furry Friends! With old-fashioned images of playful and heart-warming pets, this collection will add smiles and sunshine to your crafting. Let Our Furry Friends show you that there is always a place for a puppy or a kitten in every crafting project!